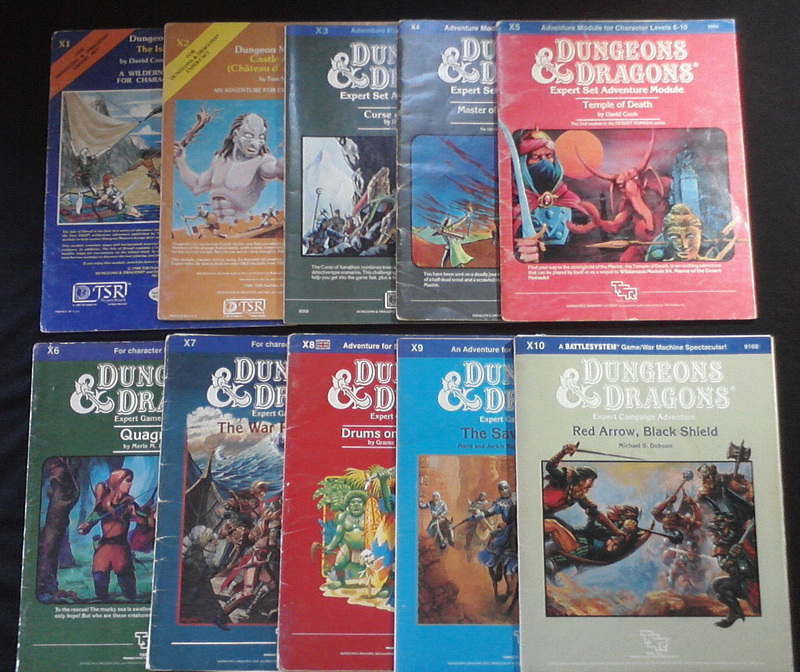 I finally completed my collection of the X-series modules for the D&D game (at least, the part of the series that I care about). Sweet! That's a pretty impressive collection. Color me envious. Ack, I deleted the wrong comment. Thanks for the kind word! From your post title, I thought you'd just completed playing through the X series and were about to share your thoughts. That's the article I want to read! I'm with him! 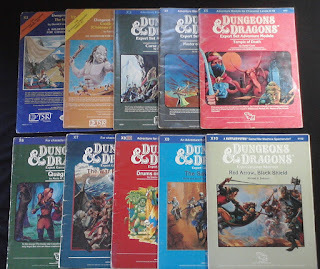 I would love to hear what you have to say about X1 v. X2 in light of how play styles evolved over the early history of the hobby. Not asking for much, huh?